Situated in Ringwood, in Melbourne’s Eastern Suburbs, Motel Ringwood is a well appointed motel providing very clean and comfortable ground level accommodation. The motel provides single, double and twin rooms, each complete with Air conditioning, heating, TV, tea and coffee facilities, direct dial phone, electric blankets and hairdryer. Especially our rooms are very suitable for people with minor disablement and also older people. The advantage is that the step into the room is very low as is the step into the shower. 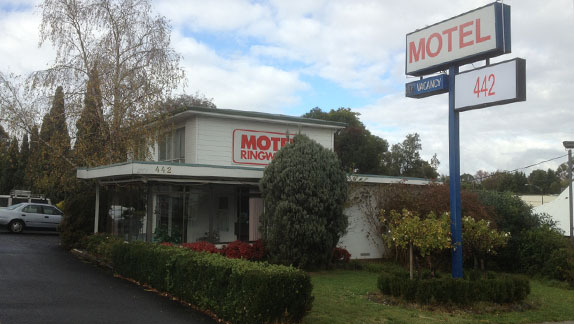 Motel Ringwood is set back off the highway in a peaceful garden setting. A large supermarket with shopping centre and 6 restaurants are within 5 minutes walk. Regular bus services pass by connecting to the city train only 5 minutes away. Major shopping centres, Eastland, Knox City, Forest Hill Chase and Chirnside Park are within a 5 - 15 minute drive. The owner operators are on hand to provide warm friendly hospitality and any assistance, including local tourist information.